Farmed salmon forms a very important part of my healthy diet and has been rapidly growing in popularity over the past few years. 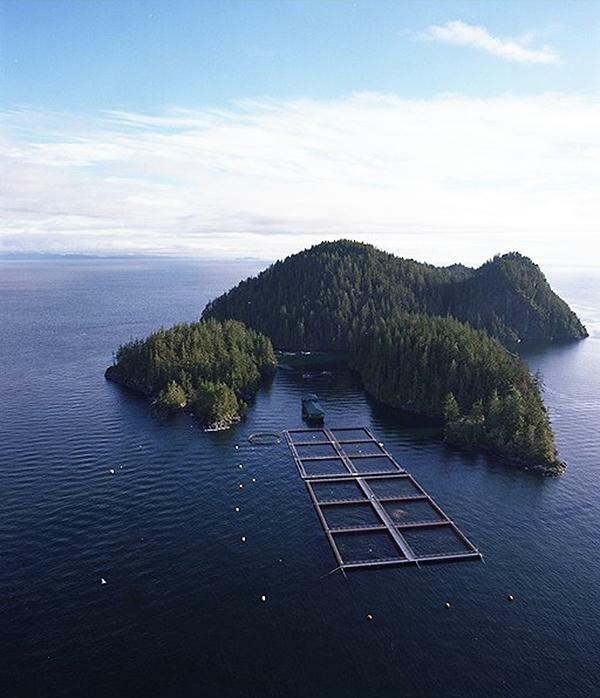 However, as it is with all popular things, salmon farming is surrounded by a great deal of controversy – primarily surrounding the potential health risks, the environmental impacts of fish feed and the influence that escaped fish can have on wild fish. Even though farmed salmon is often rumored to be less nutrient-rich, scientific studies consistently find only small differences in the nutrient content of farmed and wild salmon. The most famous nutrient in salmon; omega-3 fatty acids, is very similar between these two options. Risks of heart disease, the number one global killer, has been confirmed to be substantially reduced by salmon consumption and substantially increased by red meat consumption. Further efforts to replace red meat with fatty fish such as salmon can therefore save millions of lives and billions of dollars in healthcare expenditures. Despite all the hype about the dangers posed by things like toxic chemicals in salmon feed, all my searches into this topic have not delivered a single human death from farmed salmon. Compare that to 5 million annual deaths from tobacco and 3 million from obesity to get some perspective regarding the things we should actually be making noise about. Personally, I have been eating farmed salmon roughly two times per week for the past two years and have maintained perfect health throughout this period. It might be that daily farmed salmon consumption could have some adverse effects, but the scientific literature (and my personal experience) suggests that two portions per week is perfectly safe. I see aquaculture as an essential part of a sustainable human civilization. We are already at the limit of our agricultural land usage, but we are just beginning to realize the potential bounty from the oceans. Supporting salmon farmers (while keeping them under pressure to constantly improve the health benefits and sustainability of their produce), is therefore a crucial investment in global food security. So, please eat your farmed salmon guilt-free. As with all things, however, keep your consumption moderate. Interesting. Good to know that not all “farmed” things are super bad. I mean the word “farmed” gets a bad rep i guess, but if we sustainably accomplish it without the use of drugs, hormones, and bad living conditions, as well as a natural diet for whatever animal is involved then it doesn’t have to be an “evil” practice. People have “farmed” and domesticated animals and plants for a VERY long time. Our survival has greatly been enhanced through these practices. True, we like to criticize agriculture for all sorts of things, but the reality is that, without them, we would all starve to death. The point is just that agriculture is now just about maxed out and, since population and per-capita consumption is constantly increasing, we have to turn to aquaculture. As you say, however, a lot of time, money and effort has to be invested to ensure that this is done in a sustainable, humane and healthy manner.